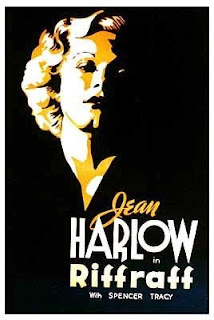 We interrupt this continuous flow of pictures-liked-by-rob to pay attention to the Jean Harlow Blogathon. Did we mention it was her birthday March 3rd. Yes. But we forgot to mention that it was her 100th birthday (my math skills are apparently overrated). Of course (as usual) I noticed it too late, but better too late than never. This blogathon is featured on the Kitty Packard Pictorial. If you are interested in the 1920s and 1930s, or like classic movies, than take a look at her site! Fisherman Dutch marries cannery worker Hattie. After he is kicked out of his union and fired from his job he leaves Hattie who steals money for him and goes to jail. He gets a new job, foils a plot to dynamite the ship, and promises to wait for Hattie. if you were here you could respond. 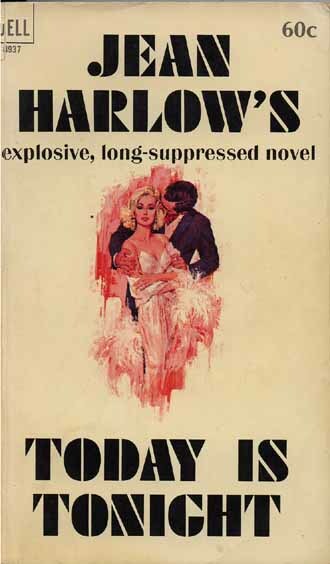 Today is tonight is the title of a novel she wrote, which was not published until 1965. Great post. I didn't know she wrote a novel.